You might not know it, but today is a holiday--at least here in Utah. One hundred seventy-one years ago, Mormon pioneers entered the Salt Lake Valley, after traveling over a thousand miles. July 24th is now a state holiday. Communities have parades, fireworks, and other gatherings. 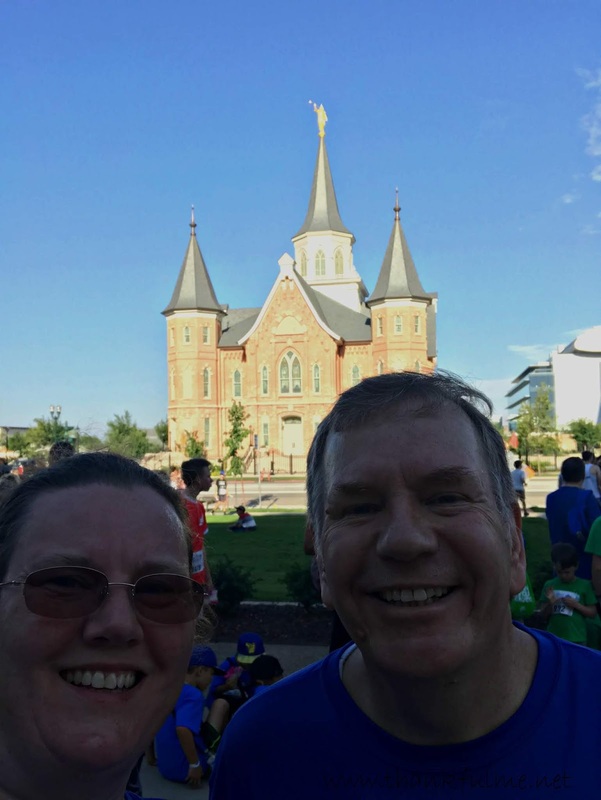 This morning, John and I ran the Temple to Temple 5K race. We started at the Provo Temple and ended at the Provo City Center Temple. Over ten thousand people signed up for the event! Many chose to walk, and I even spotted a couple who were pulling a handcart--which is a much more historically accurate way to celebrate Pioneer Day. Photo: John and I smile for a selfie after our run. The Provo City Center Temple stands in the background. For those of you not familiar with the history, Mormons had been living in Illinois, where they had gone after the Missouri governor had signed an extermination order in 1838. (Not to worry, the extermination order was officially rescinded in 1976!) Mobs in Illinois drove the Mormons to again leave their homes and head west in the mid-1840s. 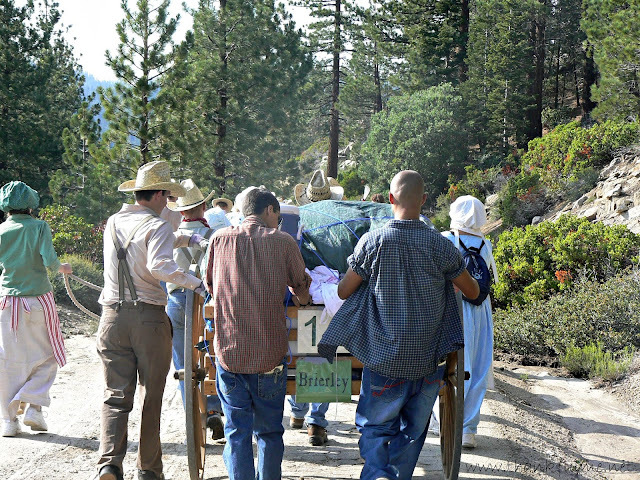 Most traveled in wagons, though some pushed handcarts. Two of the handcart companies got a late start, and met with tragedy when winter came early. Over 16% of those traveling in the Martin and Willie companies lost their lives. A decade ago (where does time go?! ), John and I were Pa and Ma for a group of teens during a reenactment of a pioneer trek. We had enough food to eat, we slept in tents, the weather was pleasant, and we didn't go a thousand miles. Despite all that, we all gained an appreciation for the pioneers. Pushing a handcart was no easy feat, but we knew that our ordeal would be over in a few days. We were not fleeing persecution, no babies were born on the trail, and no one died. We also didn't cross the continental divide on our trek; I can only imagine the difficulty the pioneers had climbing and descending the Rocky Mountains. The faith and determination of those early pioneers serves as an example to me. What experiences in your life have given you greater appreciation for those who came before you?